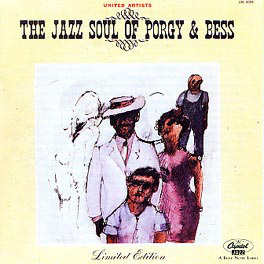 Perhaps best known among collectors for his 1956 live quartet recordings with Lester Young in Washington, D.C., pianist/arranger Bill Potts also had a subsequent career, which, among other things, involved the production of this swinging 1959 big band jazz version of Porgy And Bess highlights. Diametrically opposed in conception to the justifiably more famous 1958 Miles Davis/Gil Evans collaboration on Columbia, Potts’ approach here was largely to showcase the straight-ahead blowing abilities of his star-studded cast of New York regulars: Art Farmer, Harry Edison, Charlie Shavers, Marky Markowitz, Bob Brookmeyer, Jimmy Cleveland, Phil Woods, Gene Quill, Al Cohn, Zoot Sims, Sol Schlinger, Bill Evans, and more. 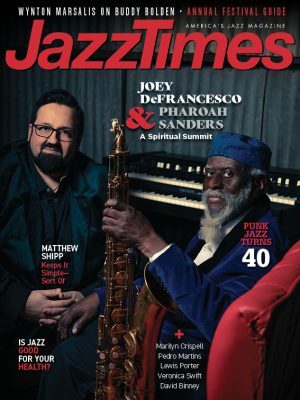 Needless to say, he achieved his end, as each of the many featured soloists contributed immeasurably to the success of his respectfully constructed charts. Interestingly, a few months before this date, Rex Stewart had directed a similar session for a Warner Brothers LP that included, among others, Cootie Williams, Lawrence Brown, Hilton Jefferson and Pinky Williams in key positions. Would that that obscurity also find a new life on CD.